Included in this list are works currently available for performance. If a publisher is listed, contact the publisher for scores and performance materials. Other works can be obtained by contacting Gregory Hamilton. As the Grains of Wheat Piano preludes on hymn tunes. For solo piano. Published by Augsburg Fortress Publishers. Ave Verum for SATB, string quartet, and solo oboe. 8 min. A setting of the Traditional Latin Text. The Church's One foundation. For full orchestra, SATB organ. Incorporates choral settings form the mass of Dedication Liturgy. 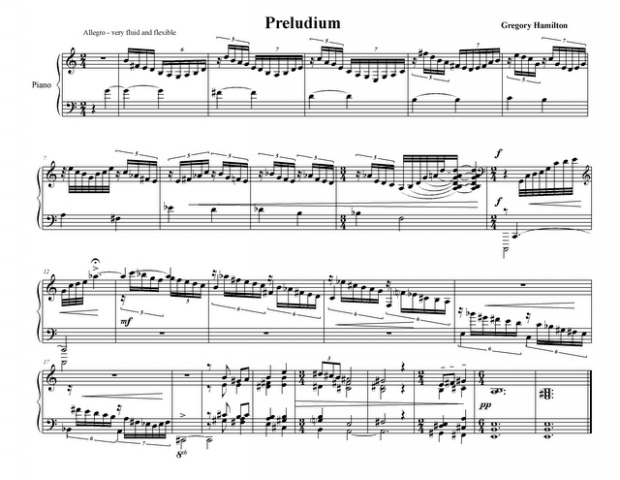 24 Preludes and Fugues for Organ An ongoing work, there are about 12 sets completed. Premiere is set for winter 2009.